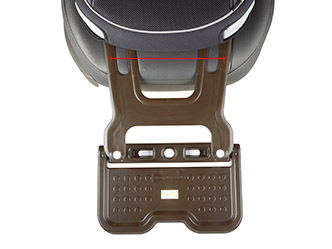 The height control bar is located at the center, allowing children to spread their legs on both sides. 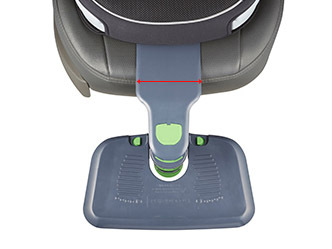 The support leg that enables the height control bar to reach the floor is installed, making it safe and durable. 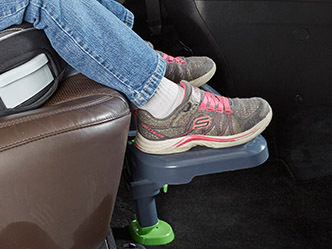 The car seat is well secured, not wobbling as the left and right of the car seat floor touches seat of a car. 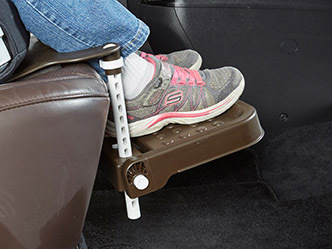 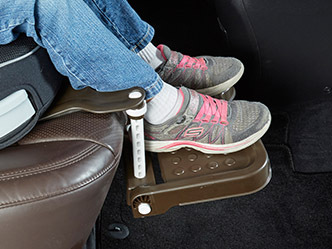 Be cautious of not stepping on it when getting on and off the car seat as the height control bar does not touch the floor. 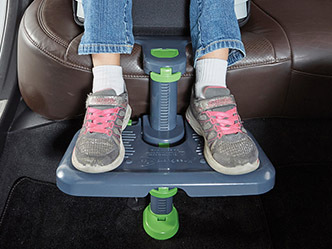 Wobbling can be found in some car seat models as the car seat is located on the install plate.